In the late 1800s and early 1900s, fresh beer was carried from the local pub to one’s home by means of a small-galvanized pail. Rumor has it that when the beer sloshed around the pail, it created a rumbling sound as the CO2 escaped through the lid, thus the term “growler” was coined. Now Growlers are a glass 64-ounce bottle that can be filled over and over with fresh craft brew. Why do Growlers provide fresher beer? The core of The Growler Station is all about our passion to deliver the freshest craft beer to go, straight from the keg, ready to be taken home and enjoyed with family and friends. We use unique growler filling equipment for a quicker, foam free, mess-free, better tasting growlers. Standard filling equipment delivers a growler of beer that loses its integrity from the moment it’s poured, only to erode completely within 2-3 days. Our process retains the exact environment from the keg to the growler, therefore never allowing the beer to begin to break down. The result is a growler that lasts for weeks versus days. Yes, not only longer lasting, but also superior tasting. By purging the oxygen in the growler and replacing with CO2 before we fill it with beer, it allows the perfect mix of CO2 saturation. Mixed with air-tight filling, you get a fresher, better tasting growler. Where can I get my growler filled? 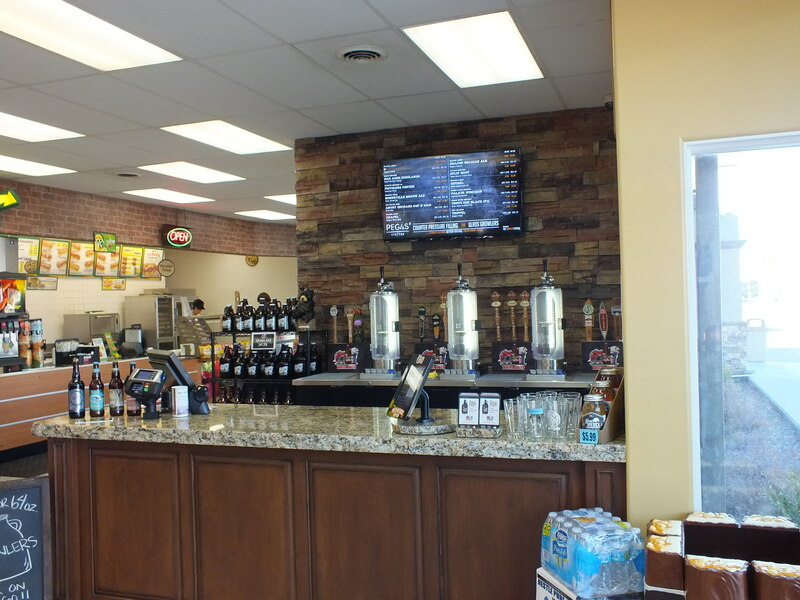 We have a growler filling station at Twin Stop I on Kimberly Road and we also have a growler filling station at Twin Stop II on Pole Line Road. How do I know what beer selections are currently available at your filling stations? You can access our current beer selections 24/7 right here!